A couple of weeks ago, I was asked to speak at an evening event at Google’s London campus. 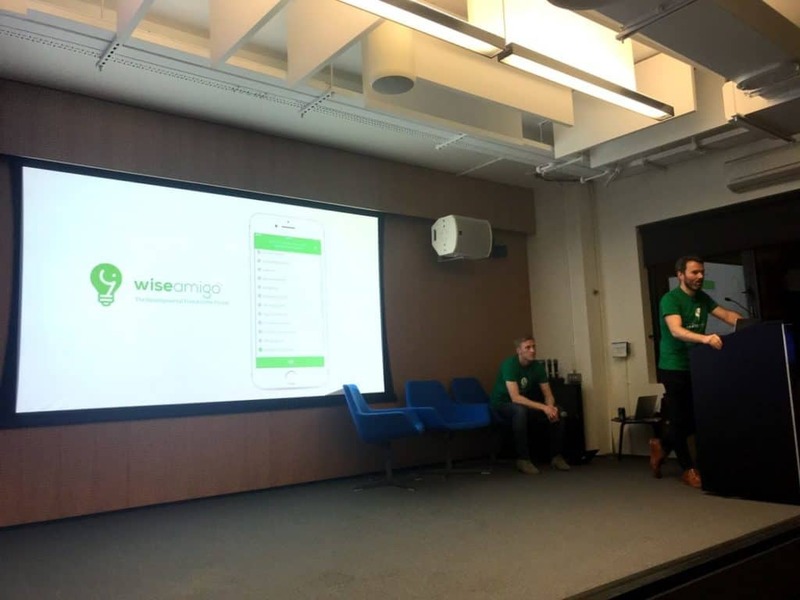 Organised by the team behind Wise Amigo, an app focused on helping you organise and follow through on your own development, the evening was aimed at teams involved in start-up businesses in the tech sector. My talk focused on the principles of being productive – given the diverse nature of the audience, it was important to avoid inflexible ‘rules’, but instead, highlight where people could adjust their perspective to get more productive. As for ‘productivity’, I defined it as: getting the right things done, at the right time, to the right standard. Balance your limited resources. We all have limited time, mental focus and physical energy. Being mindful of your limited resources, and ensuring they are ‘spent’ where most useful, means that we’ll be working smart, not long. Some tasks don’t take long, but they require a lot of mental focus. Some require a lot of time, but little focus. Consider what your work requires of you when scheduling and prioritising. And remember: working all night doesn’t create more time, it merely means you’ll have less mental focus and energy to use the following day. 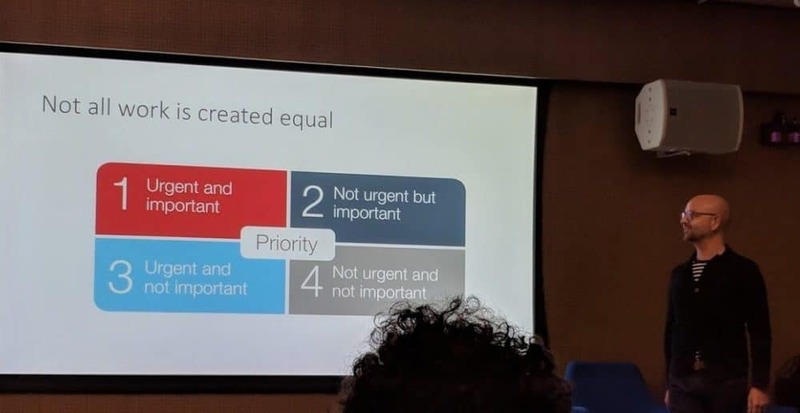 Ruthless prioritisation. This is all about avoiding the noise of distractions and other people’s ‘emergencies’. It’s important to establish pragmatic priorities for everything that crosses your path and keep it up to date. Don’t ignore things that are important, but not yet urgent (e.g. training your team), as stuff here will become both important and urgent over time. Align your values, goals and roles. If you can become aware of the multiple roles you occupy in life, understand the goals you have in each role and then make explicit links between these and your personal values, you can get more balance in your life, give increased meaning to your work and ensure you don’t forget to attend to your varied responsibilities. We’re going to have the developer of Wise Amigo on the podcast in the new year. But in the meantime, you can download the app from the Apple App Store via this link. Big thanks to Campus London for hosting us and the attendees for your questions after the talk.